Above: Bill and Linda's front yard with a view of the Strawberry section of Snowbasin in the background. Bill and Linda West have called Snowbasin their "Home Resort" since the 1970s and don't plan to stop skiing there anytime soon. They built a home 18 years ago that takes them from their front door to the Needles Gondola in less than fifteen minutes. 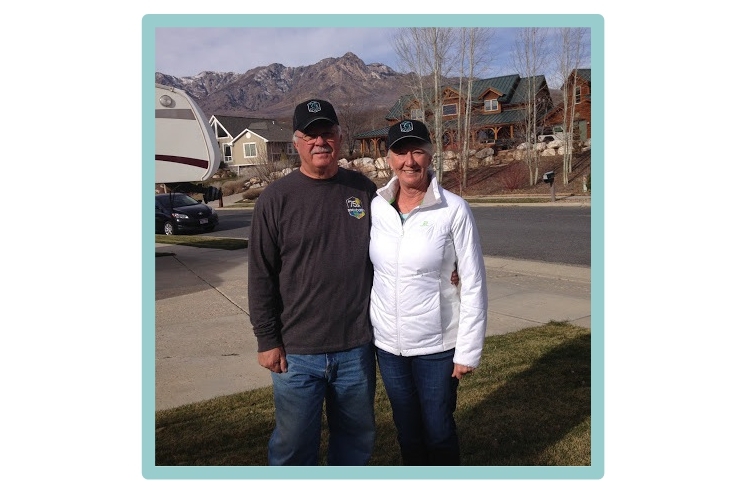 Last season Bill and Linda completed the Snowbasin 75th anniversary ski challenge which required a minimum of seventy five days on the mountain. Top right: Bill and Linda's son, Mike, in the 1980s. Top left: The "Minni-Winne" motorhome. 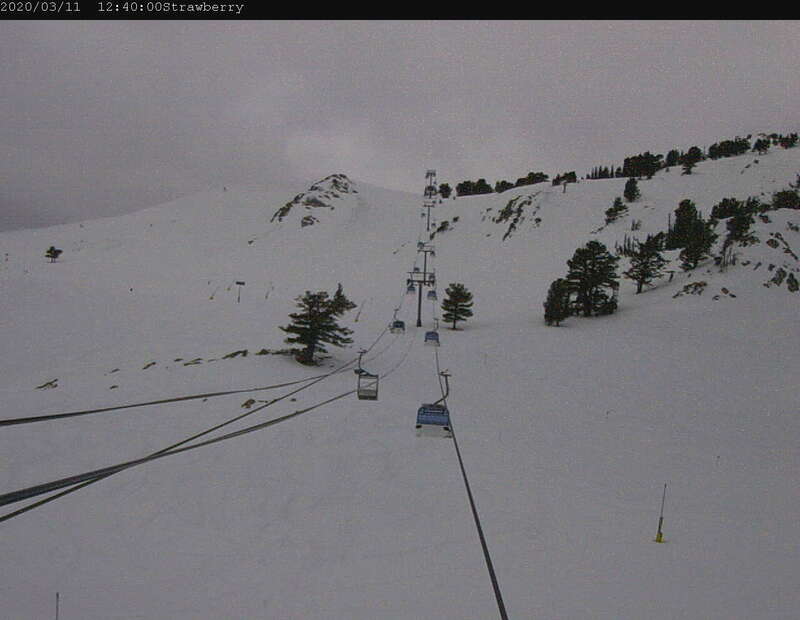 Bottom right: The old Ticket Office and Ski School. The West would park the Minni-Winne as close as they could to this location. 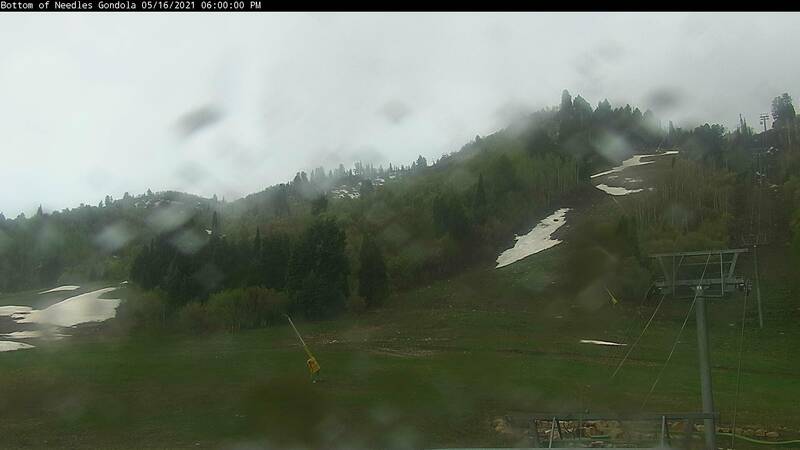 Snowbasin and The West Family are synonymous. Bill and Linda's children include Mike, Morgan, Charee, Billy and Matt. 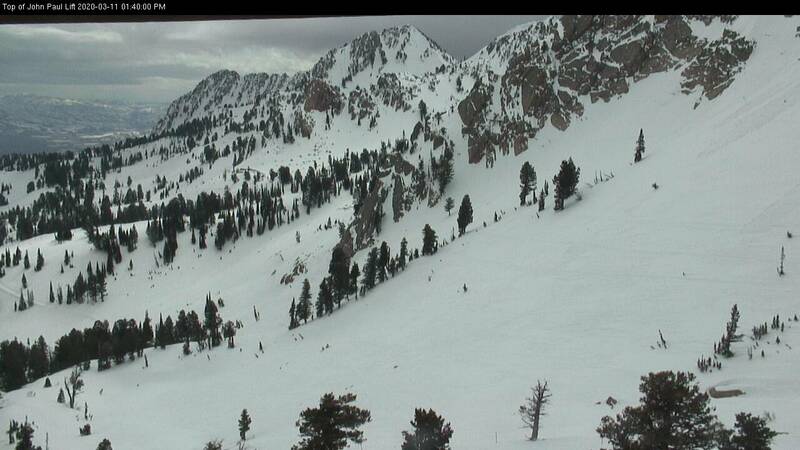 All learned to ski at Snowbasin where they spent many memorable weekends. Frequently they would bring their "Mini-Winne" motor home where they would pack in the whole family and then meet for lunch. Many chili dogs were consumed over the years.. Above Linda's and her children after a fun day of skiing. Ski competition runs in the family. 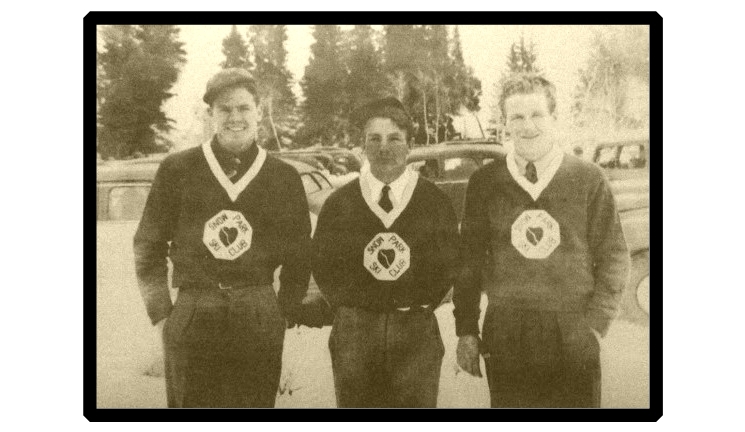 Linda's uncle, Bill "Shog" Bailey" competed in gelande jumping in the 1930's on Park City's Creole Hill and later on famed Ecker Hill. Linda learned to ski in Park City where her grandparents lived. 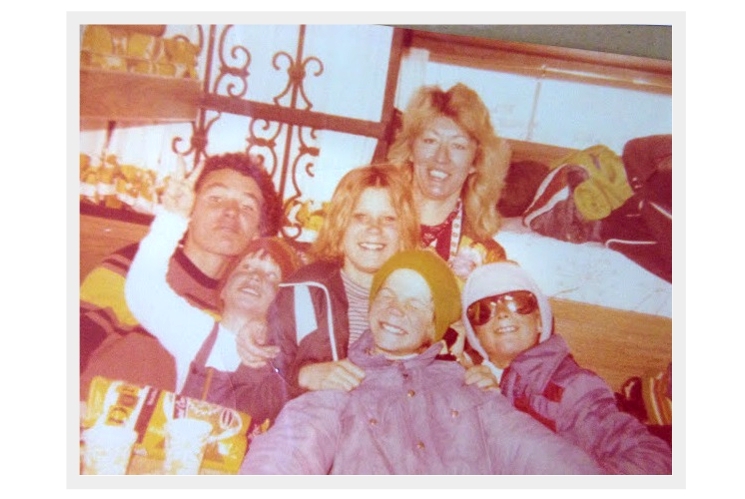 Linda and her siblings would share one set of skis, boots and poles and memories of hiking up the local hill. 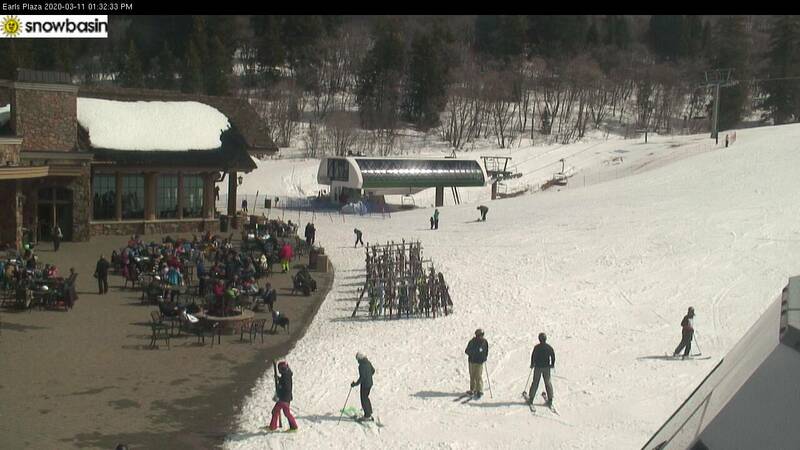 The first organized ski area she skied was Snow Park (now Deer Valley). In the mid 1960s Bill served in the United States Air Force and was stationed at Hill Air Force Base where he worked in employee lodging. 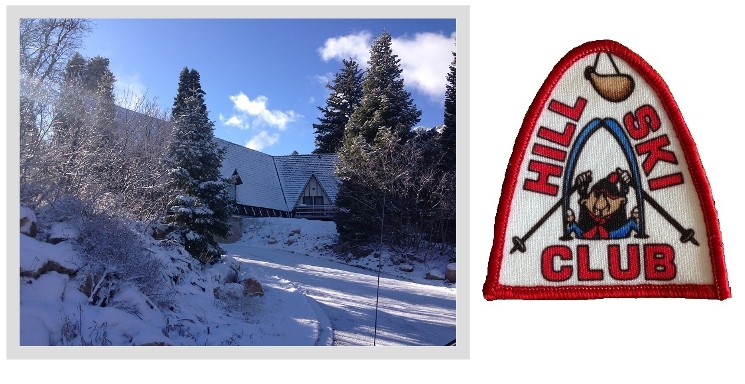 Bill worked at the Hill Air Force Base's, Hill Haus Lodge which was located very close to Snowbasin. Bill worked a few weekends a month helping the manager at the snack bar, flipping burgers, changing beds and anything else that was needed at the facility. Bill and Linda would also periodically rent one of the dorm rooms and spend the weekend skiing. 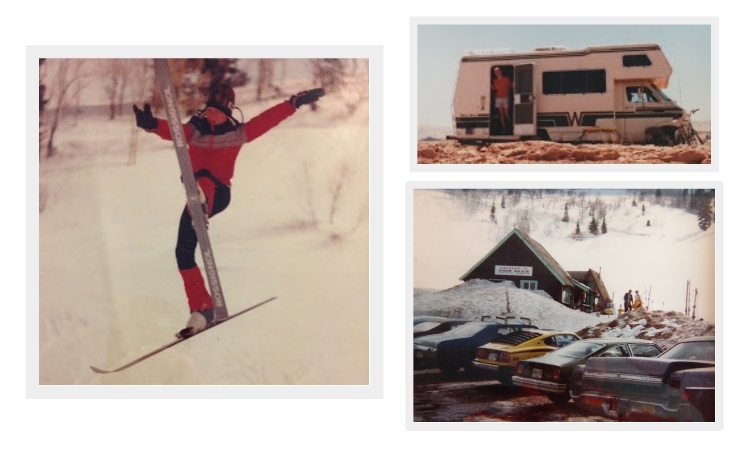 Later in the 1970s, Linda who was employed at Hill Air Force Base was a member of the Hill Ski Club. Bill was president for a few years in the early 1980s. 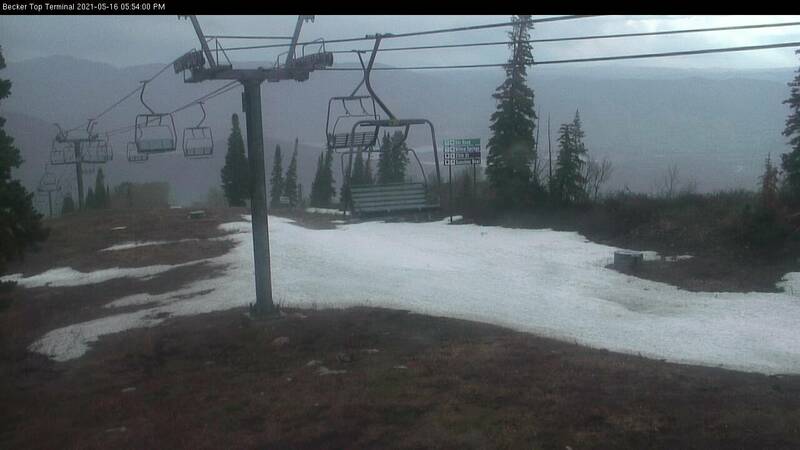 The ski club would rent the Hill Haus annually for overnight accommodations. Top left: Linda and Bill during the olympics. Top right: Women's Downhill and Super G finish line. Bottom left: Women Downhill start. Bottom right: Gate flag from the olympic downhill race. 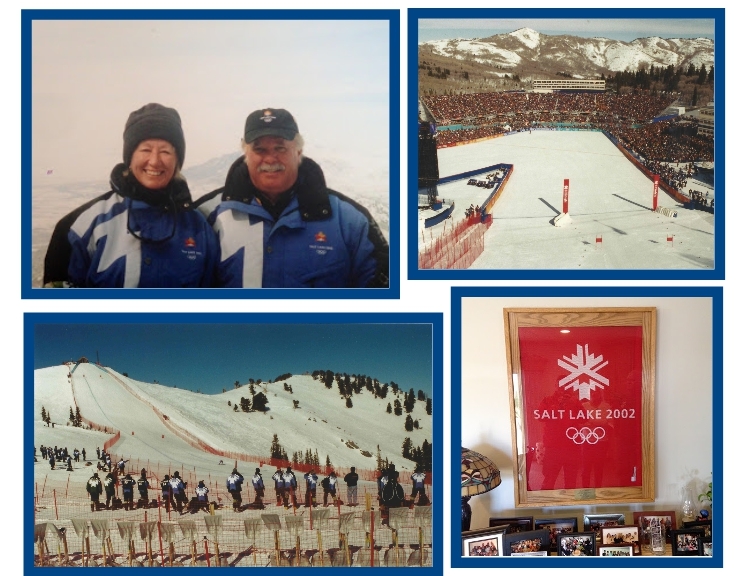 Both Linda and Bill were active volunteers at Snowbasin for the 2002 Olympic Games. They were gate judges for the Women's Downhill and have fond memories of their time spent with the athletes, volunteers and spectators from around the world.